Included in Publishers Weekly's Crime Fiction feature on police corruption and brutality. 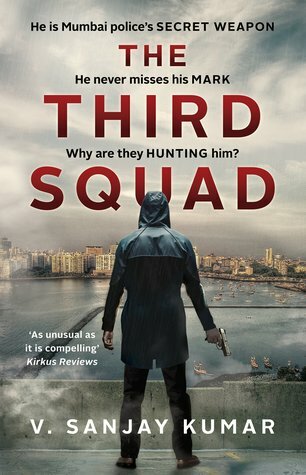 The Third Squad is an arresting, ripped-from-the-headlines noir novel that deftly explores how in recent decades, to ostensibly combat the rising tide of criminality in Mumbai's underworld, the Indian Police Service has carried out many hundreds of extrajudicial assassinations of suspected criminals. Karan, an expert sharpshooter in an elite branch of the Indian police dispensed with dishing out this peculiar blend of vigilante justice, has a difficult choice to make: should he continue to blindly follow orders from his superiors, regardless of their moral standing, or should he take matters into his own hands and do what he believes to be right? Belonging to a hit squad whose members all fall somewhere along the autism spectrum, Karan, who has been diagnosed with mild Asperger's syndrome, is notorious for his ruthless precision and efficiency in carrying out these assassinations, yet he remains aloof and distant. Gradually, his impenetrable façade begins to crack, and Karan's emotional and psychological depth reveals itself as he is forced to make decisions where the stakes are literally life-and-death. Also at play is the looming specter of the city of Mumbai itself, seemingly at the cusp of a neoliberal era of enlightenment and progress, yet still trapped under the ineluctable burden of old Bombay history, which can never quite be forgotten or suppressed. 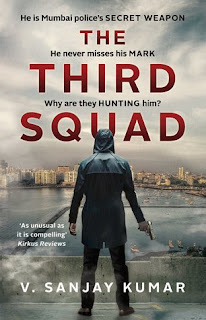 Dark and gritty, raw and fast-paced, and never sentimental, The Third Squad distills the best aspects of classic American noir writing into a uniquely Indian context, revealing V. Sanjay Kumar as a singular talent on the crime fiction circuit. V Sanjay Kumar has set up and managed businesses in investment banking, stockbroking, banking software, and contemporary art. He is a management graduate from IIM Ahmedabad and he began his writing career in 2010. His interest in the art world continues and he is a Director at Sakshi Gallery. (www.sakshigallery.com) He has curated shows and written articles for catalogs and magazines. Although he has spent most of his life in Chennai and Mumbai he resides currently in Bangalore. A novel whose cover is so gripping and loudly claims to be a compelling read is one that has to be read. With a unique plot to boast , The Third Squad delivers more than what was promised in the first glimpse and through its blurb. Pacy, racy, quirky, thrilling and adventurous are some of the words that come to my mind when I sit to describe this novel. The beauty of the book, lies in both the plot and its characters, especially Karan. I loved the way the whole character was shaped up. Completely believable and also relatable, it made him endearing if I can use that word with him though. This one thing, makes this book stand out amongst the many thrillers that keep flooding the market off late. This is one character that a reader will not be able to forget easily. It will stay in the mind for long, even after finishing the book. It is so unique. Life in armed forces of any form has always been a mystery for common folk not to forget the excitement their day to day experiences have. And this is precisely what the author manages to base the whole plot on - mystery and excitement. The language throughout the novel has been lucid matching the pace of the story. The use of vernacular lingo is something that can always work either side, the good way or the bad way. In this, it is a huge plus. I enjoyed the local lingo interspersed with English as that added an entirely different flavor to the dialogues. There are some stories which demand such minute detailing otherwise it all seems placid. Brownie points to the author for ensuring that the characters and the story was as local as possible to retain the thrill factor. Given the current scenario of the country such stories are devoured with much enthusiasm. The plot like any thriller is made up of lot of ups and downs, twists and turns and the author ensures you don't lose track anywhere. His narrative holds your attention like none other. It is a perfect un-put-down-able page turner. Amongst all the sub plots, plots, main characters and supporting characters what shines through strongly is the battle for existence, both internally and externally. Over all a mind-blowing read, which not only made up my weekend but also left me thinking about it for long. Strongly recommended to all thriller fans! 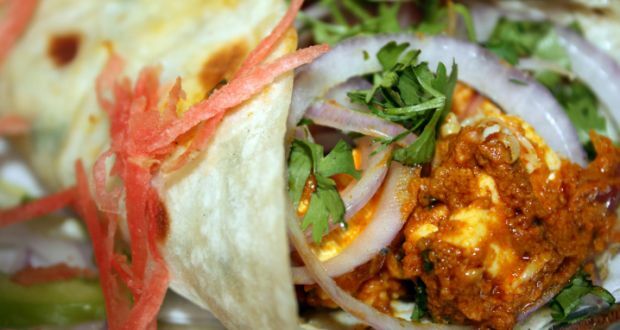 This book is like Paneer Tikka Kathi Roll - Tangy, spicy and delicious in every bite!